Ninja Kids is a thrilling new sport for children ages 5 to 11. It is a fusion of obstacle training, gymnastics, martial arts and freestyle movement where children can build the strength, agility, speed, stealth, and mental prowess of a trained ninja. 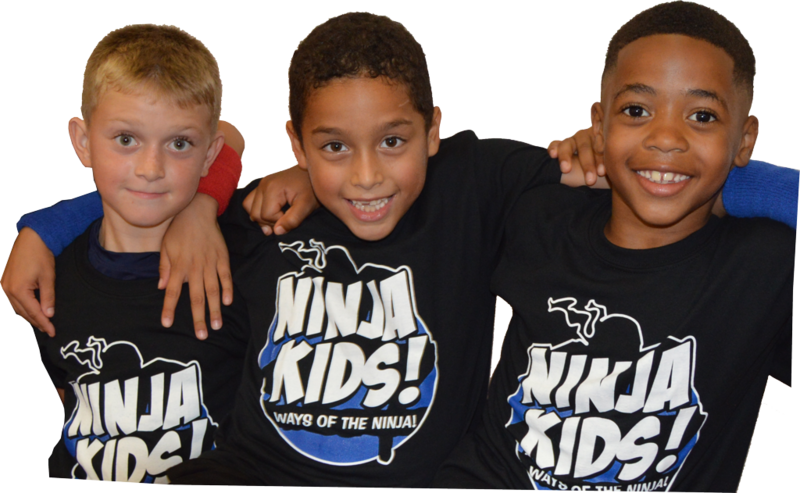 Ninja Kids will help give your child the confidence to take on any challenge. During Ninja training, students will learn a combination of flips, rolls, jumps, and kicks through various training techniques and by maneuvering through obstacle courses. The training not only exercises the body and mind, but also builds character and cultivates discipline. The levels of Ninja Kids are defined by the wristband colors of Red, Blue, and Black. A progressive level system evaluates and advances ninjas on their skills and knowledge of core values as described in the Ninja Kids handbook.